Back from a trip to Beijing and the next day I saw this article in "The Straits Times": Beijing meets target of of 245 'blue-sky days' . Well then we just had bad luck I guess, because out of 5 days we had only a half day of blue sky(below). 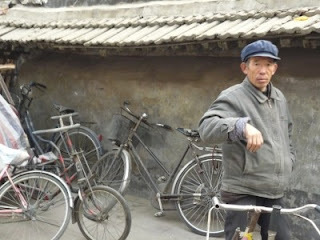 I pity the athletes participating in the Olympics in summer, especially the one in endurance sports. We could barely breath walking around in a holiday pace and not aiming for new records. 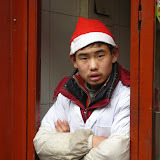 Eyes hurt, throat was sore and the smell of burnt coals made it an unpleasant stay. One day hit the maximum "5" reading it was so bad that residents were warned to stay indoors and visibility was reduced to a 100 metres. 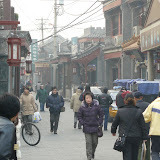 This dense smog is a result of soaring car ownership, industrial emissions, dust storms and a construction boom. 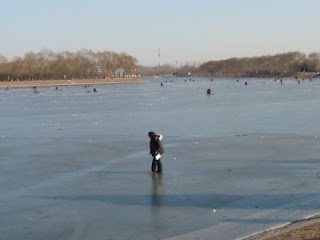 Beijing wants to avoid international embarrassment during the Olympic Games over this environmental problem. Erich immediately had a solution:" Close the factories, ban cars and stop all the construction, a month before the games start!" Very easy, isn't it? 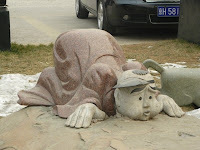 Besides that Beijing is always an interesting place to visit. 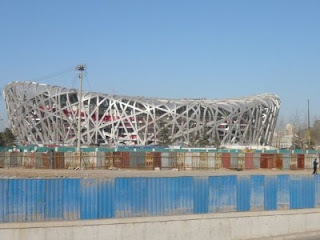 The sport venues they are building now look more gigantic in real than on photos and the changes this country has gone through since Chairman Mao's times are enormous. Most of the city is an unrealistic, virtual world with resort like apartment and villa enclaves surrounded by high walls, security cameras and guards. 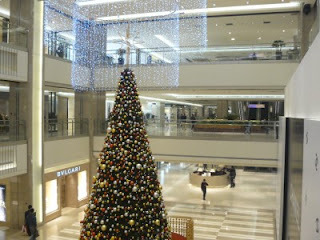 The city centre has the latest shopping centres with all the famous fashion brands. 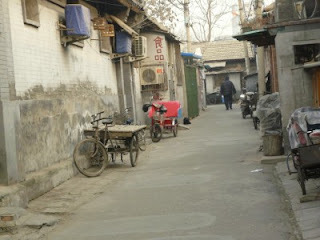 But in the outer skirts and of course in the Hinterlands many people still live in very poor conditions and dirt and dust is all over. 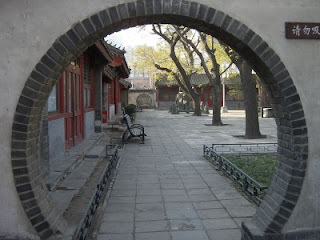 A most interesting place to visit is "OLD BEIJING". 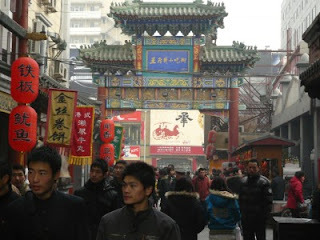 People say that the real culture of Beijing is the 'Culture of the Hutong' and the 'Culture of the Courtyard'. How true that is. 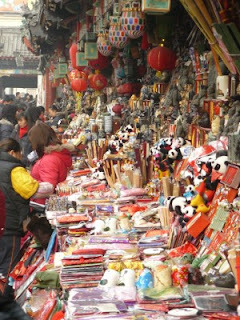 Often, it is Beijing's winding Hutongs that attract tourists from home and abroad rather than the high-rise buildings and large mansions. 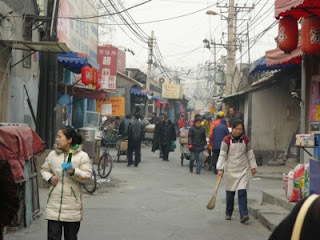 Here are some impressions of the hutongs which give you fresh insight into Beijing's local life. 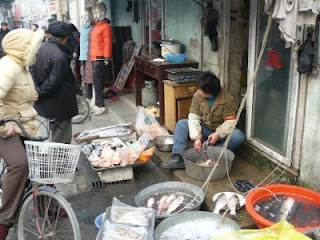 A local market with interesting food stalls also caught or attention. 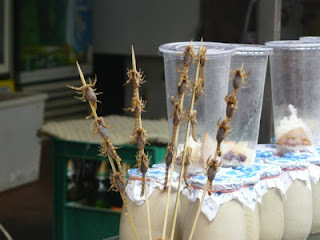 The satay they sold were literally creepy-crawly: All kind of beetles, worms, larvae, sea stars, sea horses (aren't these endangered species?) and scorpions. 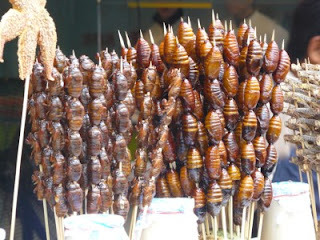 Some of the creatures we were not able to identify. 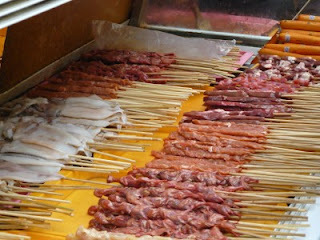 Satay anyone? 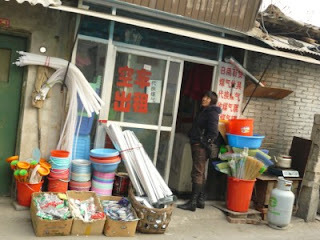 Probably new ideas for Erich's menue!! 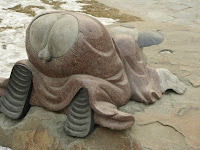 A funny sculpture was that monk out side a shopping centre. 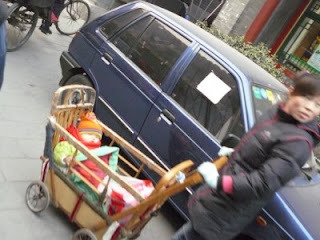 But back to the hazy days and Beijings own (!!) 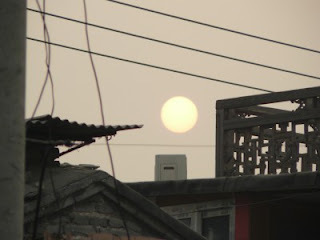 standard for 'blue sky days' which has not been recognized by international scientists - some days were declared "blue" despite obviously hazy conditions. 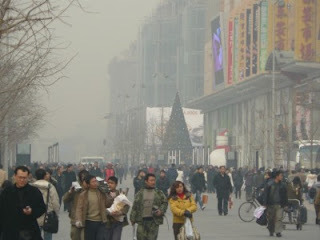 However the government is trying hard and has taken aggressive steps to clean up its air at a cost of SGD 24 billion! Good luck for them!